I’ve been getting many questions about how to stay clean as much as possible during the summer months. You know, weddings, road trips, and beach days… all so much fun but the food can lead to bloating and feeling blah. Our town, Annapolis, has a HUGE boating scene… and what do people typically do on boats? Eat and drink. So what do you do when you want to have fun but don’t want to go backwards with all the amazing work you are doing with clean eating? I know you, you like to keep things clean but also not deprive yourself so I developed a brand NEW 3 part blog series called, “How to Keep It Clean During Summer (and still have fun!) . 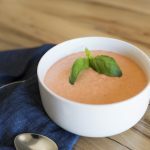 All tips and recipes will be centered on avoiding bloat (this is something we all want, especially if we have to put a bathing suit on), supporting the digestive system, and the 80/20 guideline. Let’s start with weddings, my favorite parties! 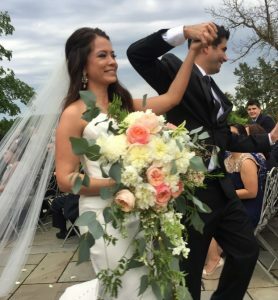 In my late 20’s/early 30’s, I had at least 13 weddings to go to in just one year! And most of them were in the summer. Now things have totally slowed down for me with the wedding invites so when I get that Save the Date card, I RSVP yes! The dress, the decor, and the music… I just heart weddings! Kevin and I went to the most beautiful wedding a few months ago. 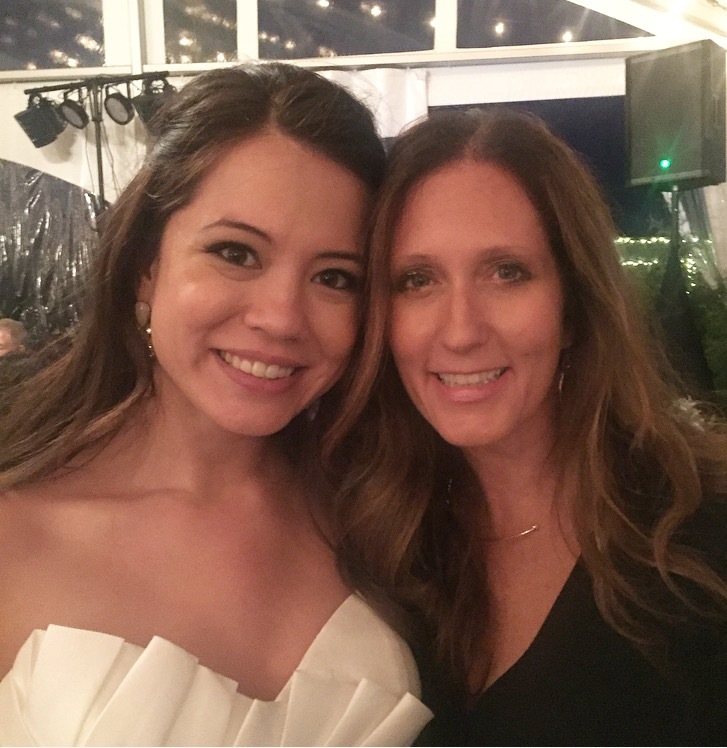 The bride was gorgeous, the setting divine, and the food, whoa, amazing! 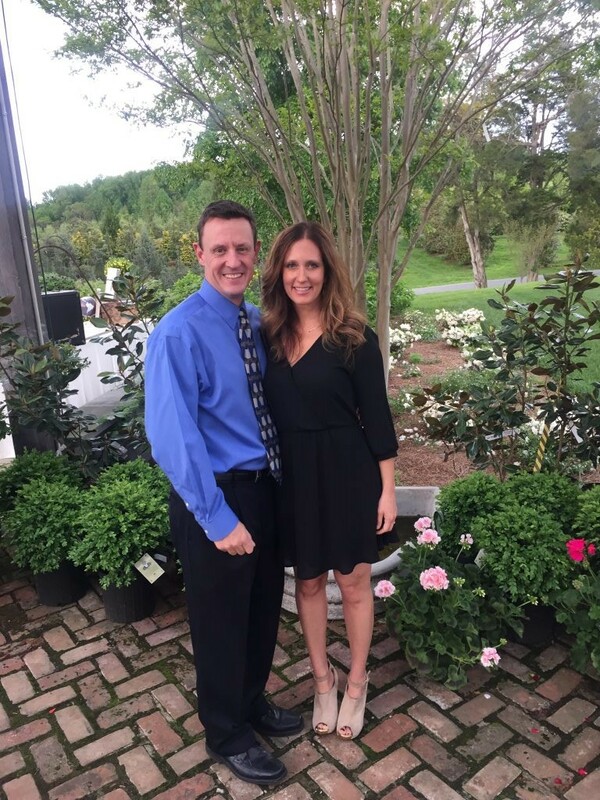 Kevin and I… a special date night for us! 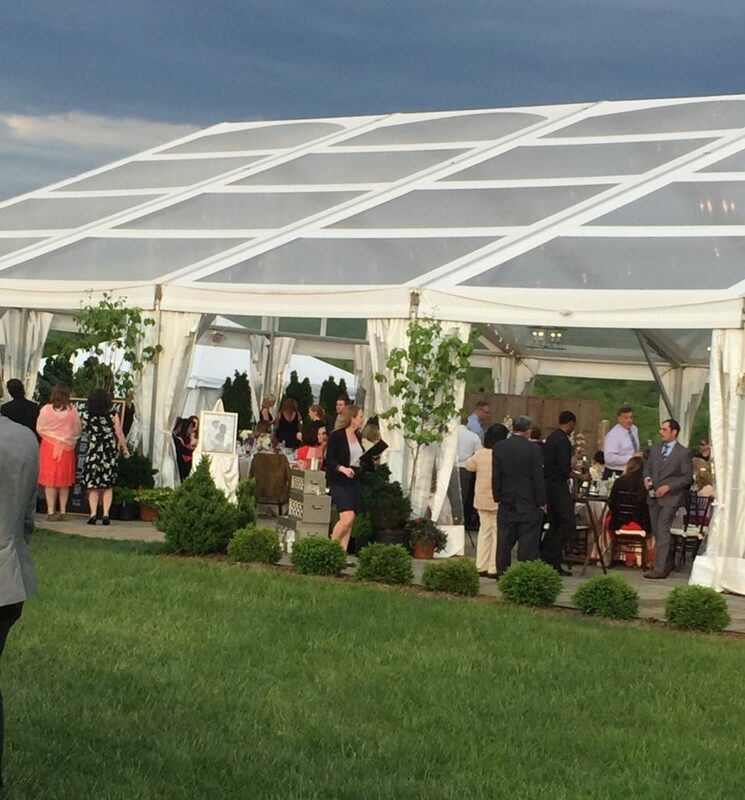 Garden outside wedding in Virginia… on top of mountains, view of wineries. My photos don’t do justice to every detail that was in place. Everything was perfect! I enjoyed myself tremendously with champagne (more on that in a minute), cake (homemade by her MIL! 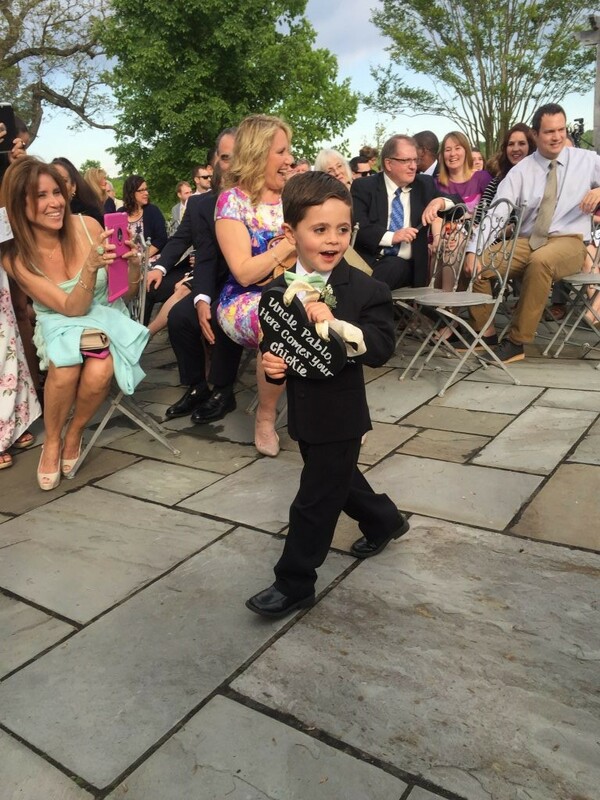 ), and dancing, and the best part of the wedding was being a part of so much love. You can certainly have fun during wedding season without over doing it. Fo’ sho’! What to avoid or limit: Fried and greasy apps (mozzarella sticks, mushroom caps, etc…), cheese, champagne (low-calorie but not good for the tummy, so decide on what will work best for you), and extra cookies or baked goods (as a Pittsburgh Italian, the cookie tray makes an appearance!). All the foods listed contribute to excess water weight and bloating due to the fat and sugar content. About the champagne… it’s a hard one for me. My favorite 20% is Cava… pair that with vegan chocolate cupcakes, heaven! So what I typically do is drink the sparkly for the toast. See no depriving with my plan! Having a glass of bubbly isn’t going to do much damage to your digestive system but anything more than that, you’ll notice a lot of gas and bloating due to the carbonation and the sugar. What to eat: If drinking alcohol, go for wine or a low-sugar cocktail, fruit and veggies, and stick to main entrees. As for wine, white wine has about 125 calories for 4 oz. and red wine has 125 calories for 5 oz. You can do vodka but stick to just that, maybe with a lime and some seltzer. If you start adding fruit juice (cranberry,etc…), the sugar can up that bloat factor. Weddings are LONG… some can last up to 5 hours when you take in account the pre-wedding festivities, cocktail hour, reception and an after party. I’m an appetizer and sides girl, mainly because being plant-based, many of the meals contain animal protein, so a good rule of thumb is to stick to the fruit and veggie trays during cocktail hour. Tip # 1: Pace yourself. You got the whole night ahead of you, so when it comes to food and drink, take your time. With alcohol, decide ahead of time how much you want to drink. One drink per course is a good way to think about it (cocktail hour, toast, dinner). Also, alternate with one drink per hour and a half and water. As for eating, skip the bread and butter because it’s not really anything new and different and stick to the main course. You don’t have to sample everything so stick to one plate and fill it halfway with veggies and the rest with protein. Before you go to the wedding, make sure to eat all your meals and snacks. Skipping meals will just leave you hangry and most likely to inhale the appetizer table during cocktail hour. Plus you’re most likely to get drunk on an empty stomach. Front-load your day with veggies, protein and water. And movement. What I advise is to do a morning workout. Even if you are traveling, download a few apps and do yoga in your hotel room. This will help set the tone of the day. Drink a smoothie (try kale, almond milk, almond/nut butter, frozen mango, banana, and hemp protein or go here for more recipes), and make sure all your meals have a good carb, fat and protein to keep you full. Eat at least 1-2 hours before the wedding. I also pack tons of snacks with me because I can be a nosher! AND it helps me keep the blood sugar levels stable. You can pack a purse-friendly serving of nuts and seeds, trail mix and dried fruit. I have a list of 50 snack ideas you can choose from. Click here for the complete guide to healthy snacks. These will keep you satisfied! Rehydrate and get something green in your system as fast as you can. 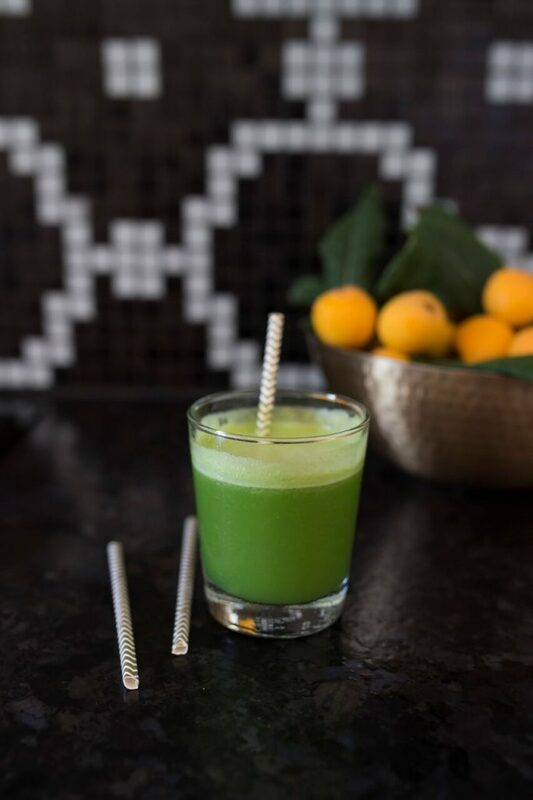 A nice green juice can rebalance your cells from any acidic food and drink consumed at the wedding.The chlorophyll from the greens (kale, spinach, Swiss chard, collards, dandelion greens) are super alkaline and feed your cells the liquid nutrition they need to rebuild. Try the Warrior Juice from the Raw Renewal summer cleanse. I have a whole slew of juice recipes here, too, for the day after. You can look sparkly on the outside and also have that inner-glow for the wedding circuit. And for the inside, you know what I’m going to say… food! The more you feed your cells raw, whole foods, the more you shine! Since you are getting enzymes and nutrients without heating and manipulating the energetics of the food, your body has an easier time processing nutrients. Glowing skin, bright eyes, gorgeous hair and nails plus less bloating result from all that raw goodness. Most of my recommendations for the blog series will be based on raw food since it’s the easiest, quickest, most efficient way to support your digestive system. Always remember to have fun. Don’t deprive yourself because that is just plain boring. You are dedicated to living a happy, clean life because it makes you feel and look amazing so use these tips and let me know how it goes for you. 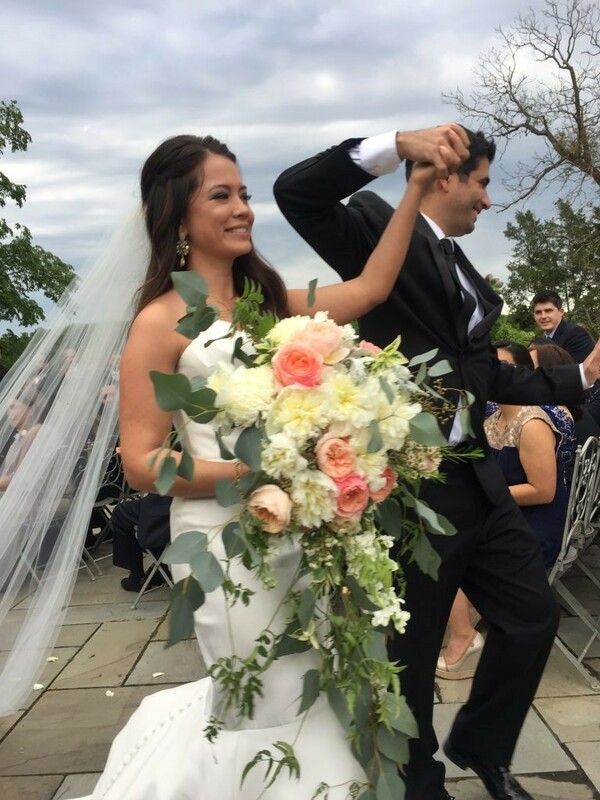 How do you work the wedding circuit with clean eating? 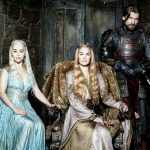 Share your tip with me! PS. 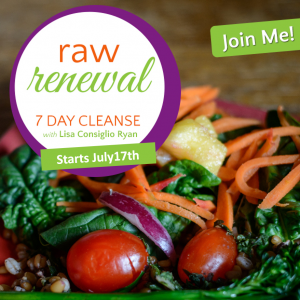 Raw Renewal 7 Day Detox starts July 17th! 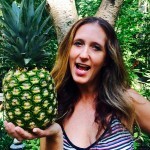 LIVE cleanse group, menu plan, recipes (some only have 3 ingredients! so easy! ), and shopping lists plus my coaching! Hip hip!